This training was hosted and organised by the Administration of the Republic of Slovenia for Civil Protection and Disaster Relief and supported by the Swedish Civil Contingencies Agency. 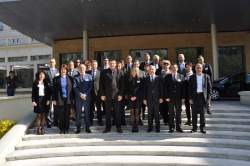 The training represents Slovenian contribution to the DPPI SEE Disaster Management Training Programme for 2015. 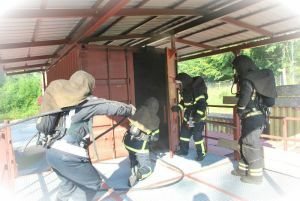 The training aimed to provide the participants with theoretical knowledge and basic practical skills in the field of fire extinguishing known as hot fire/flashover training, while also improving their existing knowledge of basic skills and techniques of fire-fighting and basic operational procedures for indoor fires. The training also intended to raise awareness on procedures and practices of fire development and behaviour in different scenarios. 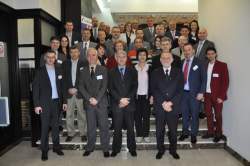 The seminar on “International Cooperation in Case of Emergencies – Host Nation Support”, hosted by the Sector for Emergency Management of the Ministry of Interior of the Republic of Serbia, represents Serbian contribution to the DPPI SEE Disaster Management Training Programme for 2015. In recent years the region of the South Eastern Europe has witnessed a major growth in the scale and frequency of natural disasters which from the onset emphasized the importance of a rapid and effective response, including of a well-coordinated reception of requested international assistance and distribution of the humanitarian aid to the affected population. 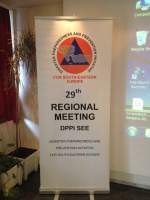 The 30th DPPI SEE regional meeting was held in Belgrade and was hosted by the Sector for Emergency Management of the Ministry of Interior of the Republic of Serbia in its capacity of the DPPI SEE Chair-in-Office 2015. The aim of this yearâs spring session was to further facilitate and provide guidance for effective fulfilment of the DPPI SEE goals and objectives as set out in the DPPI SEE Memorandum of Understanding (2013) through inclusive discussion on the DPPI SEE current and future planned activities, including through review of the activities implemented in the framework of the Initiative in the period between the regional meeting autumn session 2014 and spring session 2015. The seminar was hosted and organised by the Directorate for Emergency Management of the Ministry of Interior of Montenegro. The seminar aimed to provide an opportunity for exchange of experiences and best practices among experts from the DPPI SEE Parties state institutions with roles and responsibilities in drafting and/or implementing laws and regulations governing the transport of dangerous goods by road in their respective countries, including in the implementation of relevant control mechanisms to prevent accidents and damage to persons, property and environment. 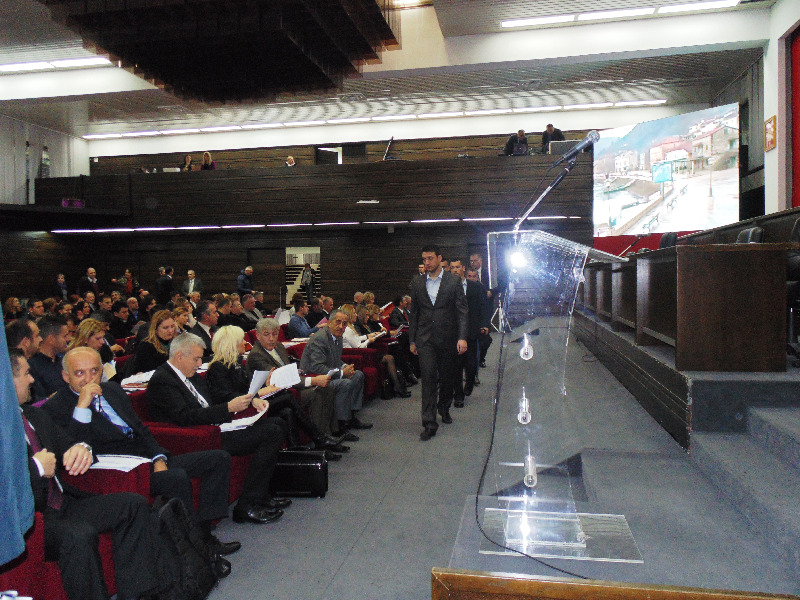 The seminar was hosted and organised by the Sector for Emergency Management of the Ministry of Interior of Serbia. he overall aim of the seminar was to provide an opportunity for the DPPI SEE Parties to exchange experiences of their respective countries in planning of an organized local authority response to floods, flash floods and earthquakes, knowing the first impact of disasters was always at the local level. Views and opinions were also shared as regards the required level of training and equipment necessary for local-level stakeholders and responders, including that for competent services engaged in preventive and operational activities. 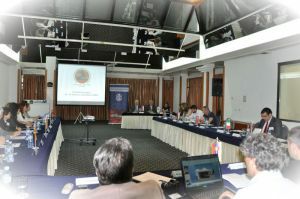 The “Conference – Establishment of the National Platform for Disaster Risk Reduction” was Montenegrin contribution to the DPPI SEE Disaster Management Training Programme (DMTP) and was hosted by the Directorate for Emergency Management of the Ministry of Interior of Montenegro and co-organised by UNISDR Europe Region Office. The aim of the event was to establish the National Platform for disaster risk reduction in cooperation with other relevant state ministries, agencies and administrations and local authorities, and with the presence of the DPPI SEE member countries and international organisations with experience in disaster risk reduction, through information exchange on best practices and lessons learned in the filed of establishing and maintaining the work of the national platforms for disaster risk reduction. ​Most of the world's population now lives in cities, with the majority living in cities of less than 500.000 people. Cities are increasingly the scenes of humanitarian crises, and this trend is likely to continue. Recent major emergencies in the region of SEE have highlighted the particular and increasing vulnerability of urban areas to disasters. Due to the floods among other consequences, water supply systems have been damaged and totally interrupted in some municipalities. In the immediate aftermath of the flooding the access to clean and safe water was hindered and threat of water-borne diseases was serious. These events have also highlighted the need for strong Urban WASH capacity in the region. The 29th regional meeting of the Disaster Preparedness and Prevention Initiative of South Eastern Europe (DPPI SEE) was held in Sarajevo, the seat of the DPPI SEE Secretariat. The meeting was hosted by the DPPI SEE Secretariat and was co-organised with the Directorate for Emergency Management of the Ministry of Interior of Montenegro in its capacity of the DPPI SEE Chair-in-Office Anchor2014. The aim of this year's autumn session of the DPPI SEE regional meeting was to further facilitate and provide guidance for effective fulfilment of the DPPI SEE goals and objectives as set out in the DPPI SEE Memorandum of Understanding (2013) through participatory discussion among delegations of all DPPI SEE member countries on the DPPI SEE current and future planned activities, including through review of the activities implemented in the period between two regional meetings for the year 2014. 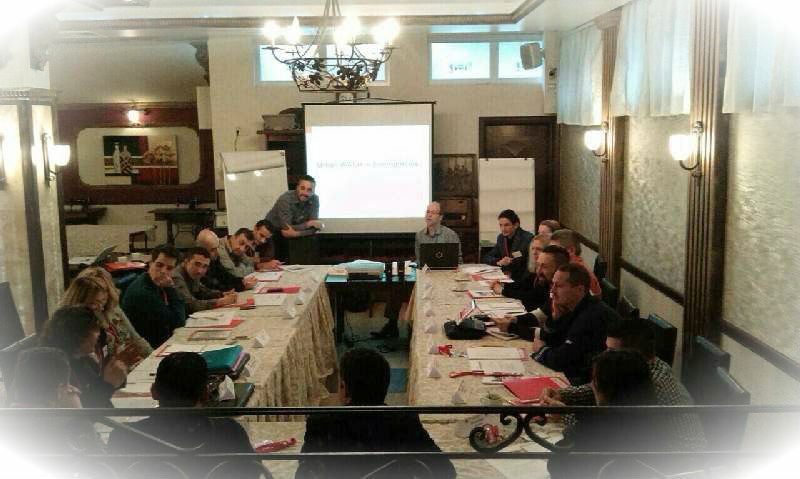 ​The seminar was hosted by the Sector for Emergency Management of the Ministry of Interior of the Republic of Serbia within the Disaster Management Training Programme of the Disaster Preparedness and Prevention Initiative for South East Europe (DPPI SEE) as a Serbian contribution to the Programme for the year 2014. The aim of the seminar was to share experiences and good practices, as well as to develop discussion during the seminar on aforementioned topic between representatives and experts from the DPPI SEE member countries with experiences in interventions caused by traffic and railway accidents. 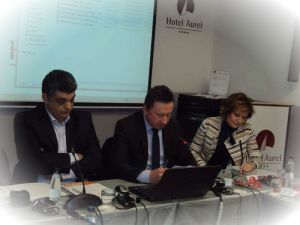 Total number of participants at the seminar was 48; thereof 33 members of the Sector for Emergency Management accompanied by participants from Bosnia and Herzegovina (2), Bulgaria (2), Croatia (2), Macedonia (2), Slovenia (2), Montenegro (2), Medical emergency service (2) and Head of DPPI SEE Secretariat.